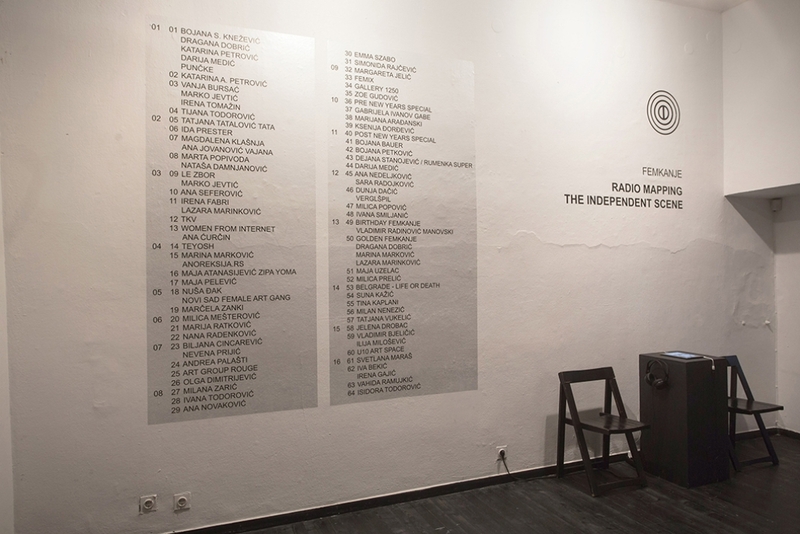 Radio Mapping the Independent Scene is a 16 channel audio installation presenting the first season of the radio show Femkanje. Total of 64 shows, broadcasted on NOFM radio from March 2013 to June 2014, are mapped onto 16 separate speakers representing 16 months of work. All of the shows are played simultaneously giving rise for more then 70 independent actors, of disunited and poorly organized scene, to finally be heard in one voice. The room filled with voices creates a particular “cocktail party” effect, where the audience can hear a single dialogue only with an additional effort. 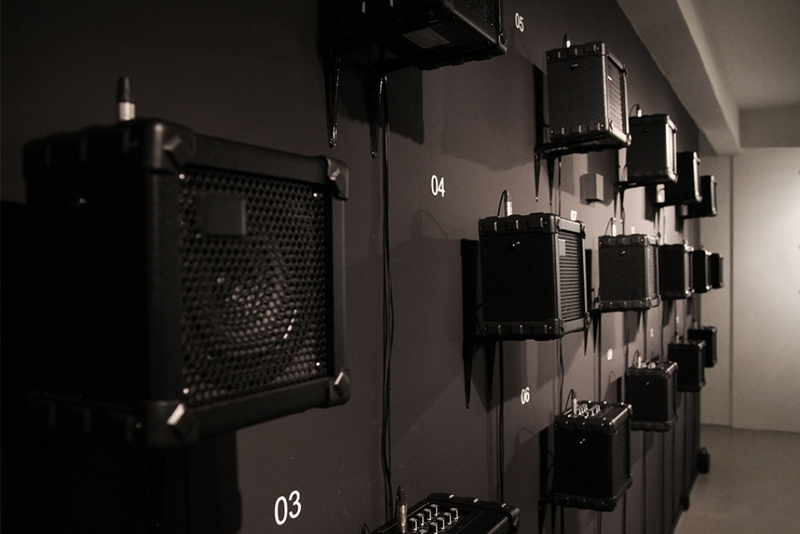 The installation is followed by a chronologically ordered and detailed list of all of the speakers and with a booth where you can listen to a selected episode in full as well. 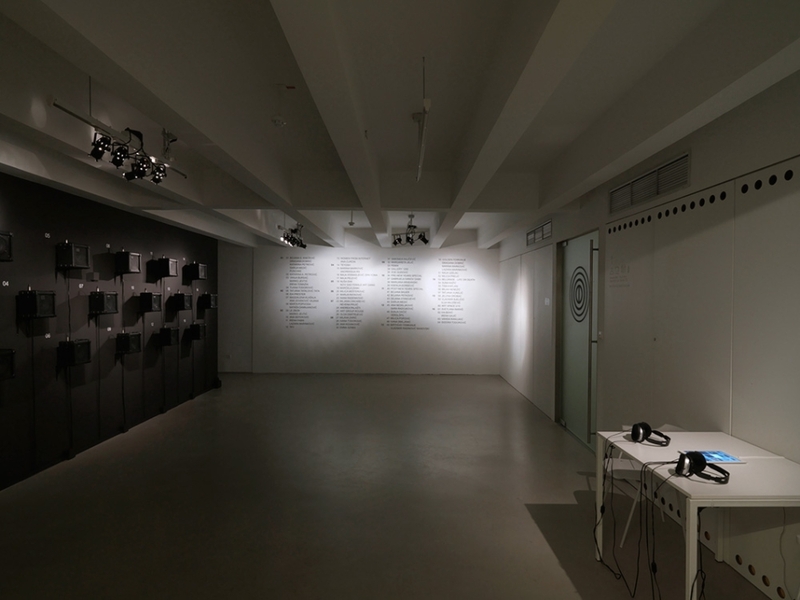 The installation was first shown at the 21. International festival of contemporary arts - City of Women in Ljubljana, as part of the Zig Zag exhibition held in the gallery ŠKUC in 2015. 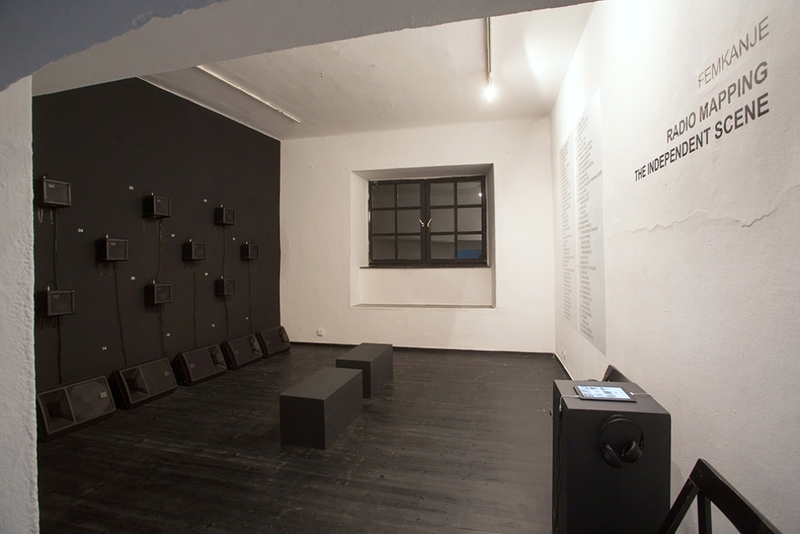 Later, at the invitation of the curator and theoretician Boris Groys, the installation was shown at the 8. 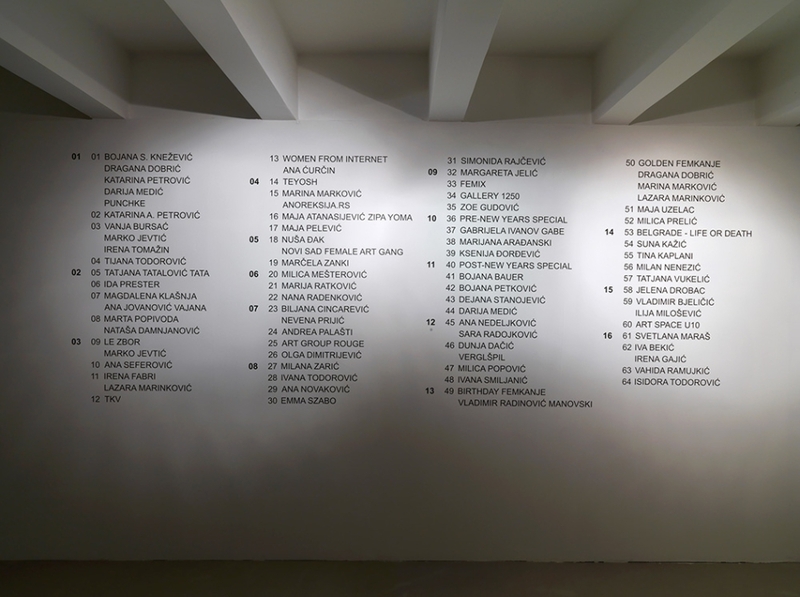 Triennial of contemporary art - U3, held in 2016, under the title Beyond the Globe at Museum of Modern Art in Ljubljana. An accompanying text of the installation On the topic of Cosmos, commentary to the curatorial framework of Boris Groys can be read here. Femkanje is a podcast, art and media project dedicated to contemporary arts and culture in Serbia, ex-Yugoslavian region and Europe. 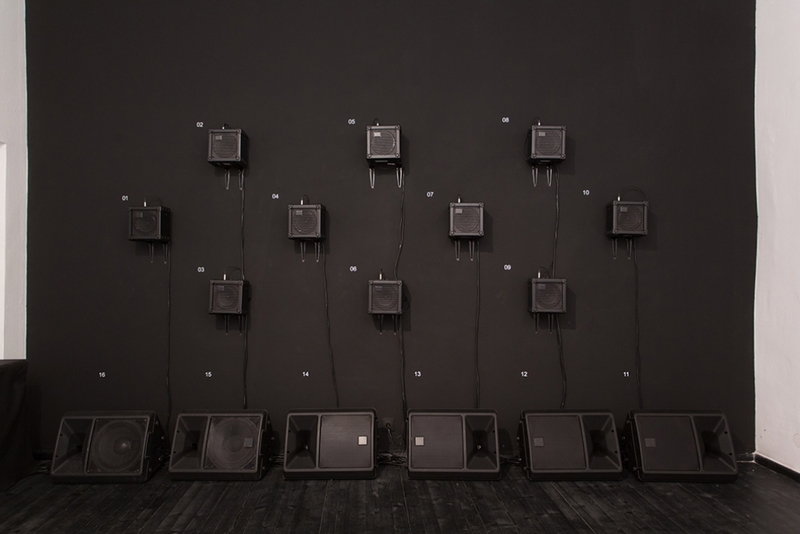 With a special emphasis on independent productions and self-organization in contemporary culture, as well as on media visibility and gender equality, the show aims to contribute to the understanding of contemporary arts in Serbia. Currently in the third session, Femkanje publishes monthly podcasts, takes part in public talks and exhibits internationally. Authors and hosts of the show are artists Bojana S. Knežević and Katarina Petrović.